Ever since finding out that the British band Coldplay will finally be coming to Manila, Ken Santiago braved the long lines and woke up early just to make sure that he can purchase tickets to the much-awaited music event. Ken got the tickets, but sadly, he won’t be able to attend Coldplay’s Manila concert tonight as he has just been diagnosed with cancer last February. Because his condition has now reached a critical stage, Ken can no longer go to the concert grounds even if he wants to. 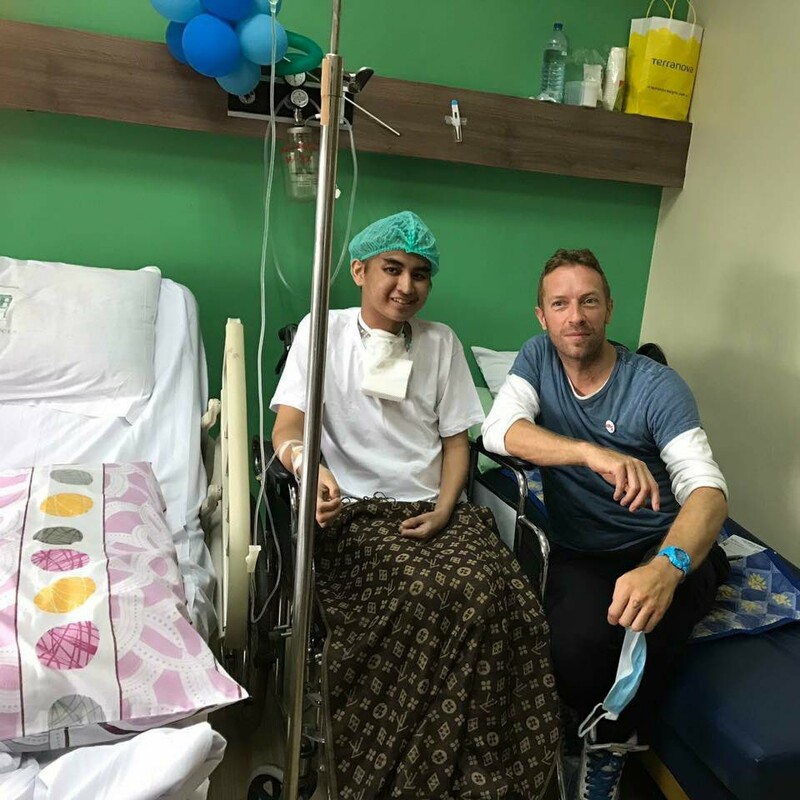 It’s a heartbreaking story indeed, but fortunately, there’s a touching moment amid all of this as Coldplay lead vocals Chris Martin visited Ken at the hospital ahead of the British band’s concert tonight. It’s a special meet and greet to say the least. And while Ken won’t be able to watch Coldplay’s Manila concert, he will still be a big part of the band’s visit here in the Philippines. What’s more, Ken gets the rare privilege of saying that a star as huge as Martin paid him a special visit. One of the people who helped this meet and greet happen is no other than Ken’s brother Kheil. It was Kheil who wrote a Facebook post sharing Ken’s story. The post gained traction having been shared more than a thousand times, thus, allowing Martin and co. to learn about Ken. The Facebook page Coldplay Philippines shared Martin’s visit of Ken, and while the photo was simple, it’s nothing short of amazing. Watch the music video of "A Sky Full of Stars" which is among Ken's favorites in the YouTube video below. What are your thoughts on this special meet and greet? Do you have words of encouragement for Ken? Comment below! POPSSSS S01E07 ft. Alexa Ilacad and Nash Aguas!